During the colder months, it can be nice sometimes to daydream about a holiday in some warmer climate. Instead though, you can always bring the essence of a beautiful Mediterranean country to your bathroom. The Sicilian Body Gel is a luxurious, natural body wash from the family-run business Skin & Co that are from Umbria, Italy. It contains organic olive extract to smooth and soften the skin as well as Sicilian orange extract that has antioxidant properties to restore balance to the skin and to promote youthful skin. It is free of parabens, mineral oils, sulphates, propylene glycol and parrafins. I received a small bottle of this Body Gel in my December Birchbox/bag (yep, second product from the bag that I'm reviewing this week! This month's is a good one, you should really check it out! ), so the packaging isn't bang on the same, but there is only a slight difference. Instead of a white lid, the lid on the full-size bottle is gold. 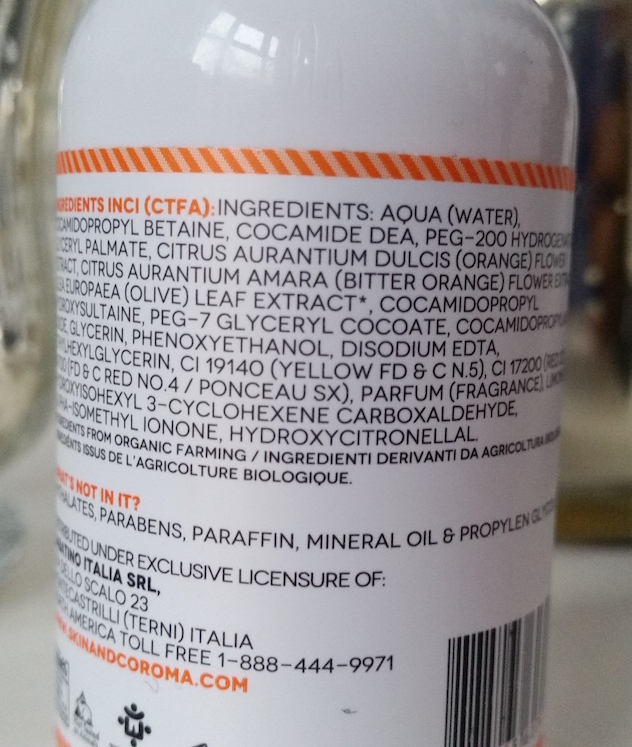 The rest of the bottle looks like the photo above, white with bright orange and black text around it. The product itself is a strongly-scented, clear gel. The first thing that you notice with this Body Gel is the scent. The smell is quite strong and reminds me of summer. 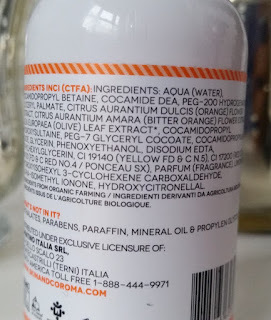 It is full of orange extracts so it's not surprising, but it does also list parfum in the ingredients so there are other citrus-floral elements to it other than pure orange. It doesn't create much of a lather, but it doesn't contain SLS so this is likely to be why. Therefore, you may find yourself needing a bit more than other washes to make up for it as it doesn't spread as easily across the skin. Putting that aside though, this Body Gel leaves your skin feeling so silky soft, so much so that you could almost get away without using moisturiser post-bath/shower. Seriously. The skin also looks smooth and you feel refreshed all over - it really feels like a treat. Whilst the scent is quite strong, it only lingers for a short while afterwards. It doesn't overpower anything else that you choose to apply, such as moisturiser or perfume. If you like gifting skincare products or making up beauty boxes as gifts, this is the perfect type of product to consider. When it says that it is luxurious, it really does look, feel and perform that way. Not only that, but using it at this time of year sort of gives you a few minutes of a Mediterranean getaway right there in your bathroom. I really like this body wash. It's so softening and beautifully scented. It really is luxury in a bottle. It's the type of product that you use and you try to make it last as long as possible because it's so nice, if you get what I mean. You can purchase the Skin & Co Sicilian Body Gel for £15/230ml from Birchbox. If you're over in the USA, you can also purchase it from Nordstrom for $17. 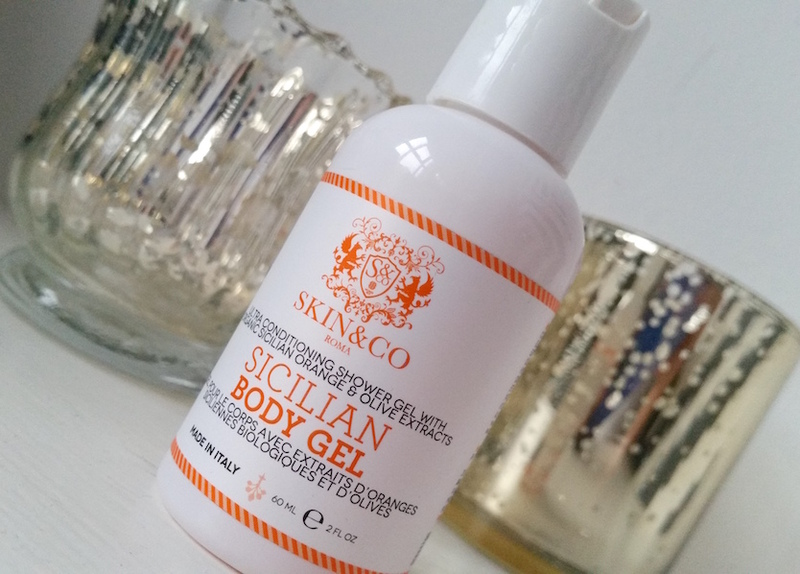 What are your thoughts on the Skin & Co Sicilian Body Gel? What is your favourite luxurious body wash?